From "Getting Rich Quick" in the "Akira-kun Series"
I was completely surprised at my reflection in a full-length mirror. "I-Is this. . . what I am now?" 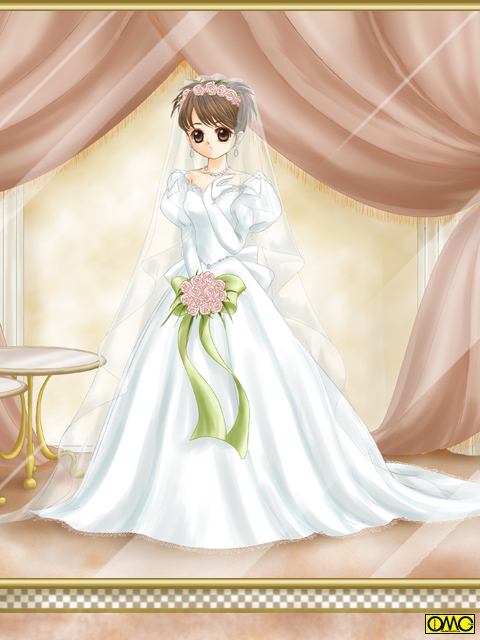 I saw a beautiful bride holding a flower bouquet, who was wearing a pure white wedding dress.